I received this book for free from the author. I was sent this book to read and review. This book was sent to me after contact with the author on Goodreads. 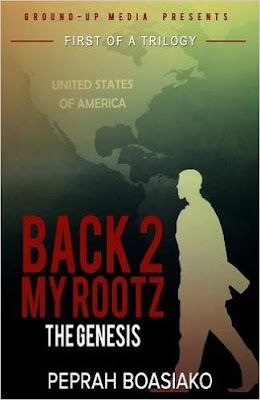 Synopsis: When tragedy strikes King "KD" Diamonds family in Africa at a young age, Black, his uncle decides to migrate him to the US in hopes to get him a better life. Having lost a son of his own, Black looks to fulfil his dreams through his nephew. KD has a plan of his own however, to live a life of crime. Forging an unbreakable bond with brothers, Juan "Dolla" Sanchez and Roberto "Poundz" Sanchez, from his neighbourhood earlier on, the three embark upon a quest with one goal in mind - achieve success in the drug game at all costs. With unshaken loyalty, love and trust among them, and a strong backing, the young men take the streets of New York by storm. The plot thickens when a bloody street war forces KD to retreat to Africa in hiding. The Genesis is the beginning of the tale of an inseparable group of young and reckless men and their journey through the treacherous terrain better known as the streets. Review: This literally is amazing and I cannot wait to have the other two books so I can finish the story and have the full trilogy in my collection. I was lost in this book from the minute I opened it up and started reading. There is so much going on in this book and that makes the storyline so interesting. I will definitely be investing in the rest of the trilogy and even the rest of his books. Towards the end of the book, the storyline got deep and interesting. This book ends on a major cliff hanger. I really wish that I had the rest of the trilogy so that I could continue to read the story. Honestly, I nearly cried at the cliff hanger as I was not ready or prepared for the book to end. I would recommend this book to any reader as it is pure perfection and I felt like I was a part of the book and not just reading it.